Presoak fabrics with pesky odors that just won’t come out in the wash.
Add ¼ cup of Scented Vinegar to a washbasin or sink filled with warm water. Soak up to 30 minutes, then launder as normal. Treat odorous items in the wash by adding 1 cup of Scented Vinegar directly to the washing machine drum (for top loaders) or to the detergent dispenser (for front loaders). Run a wash cycle using no detergent or softener. Then, launder as normal. Safe for all washable fabrics including wool, silk, blends, and more. To clean and deodorize surfaces, glassware, and household items, wet a Lint-Free Cleaning Cloth or sponge with Scented Vinegar. To prevent spotty glassware, add Scented Vinegar to the rinse aid dispenser in your dishwasher. Lingering food and debris can cause a buildup of odor. To deep-clean your dishwasher, fill your dispenser with Scented Vinegar and add 2 capfuls of All-Purpose Bleach Alternative to the machine, then run an empty cycle with hot water. 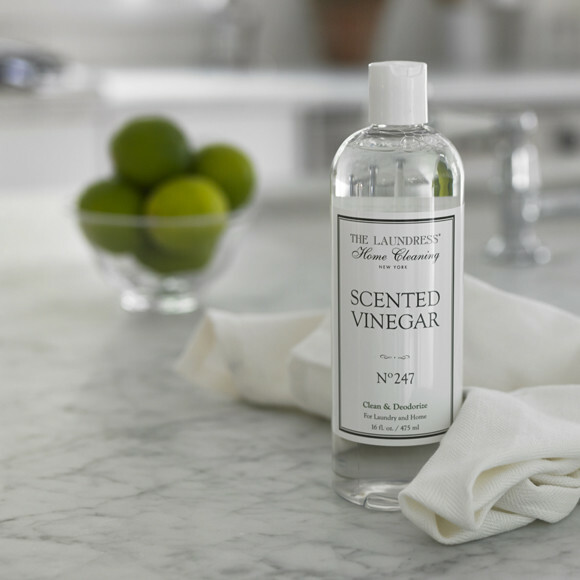 To remove rust, limescale, and soap scum, or to clean grout, mix Scented Vinegar with All-Purpose Bleach Alternative. Add hot water to the mixture, and scrub. Pour Scented Vinegar in the bowl, making sure to hit the sides and under the rim where stains accumulate. Allow to soak and flush to finish. Add ¼ cup of Scented Vinegar to 1 gallon of water to mop and clean Pergo floors. Avoid other floor cleaners, all-purpose cleaners, and wax as these will leave a film behind. A busy household quickly becomes untidy—don’t get caught short! Buy in bulk, so when life gets messy, you’re not! Combining our popular No. 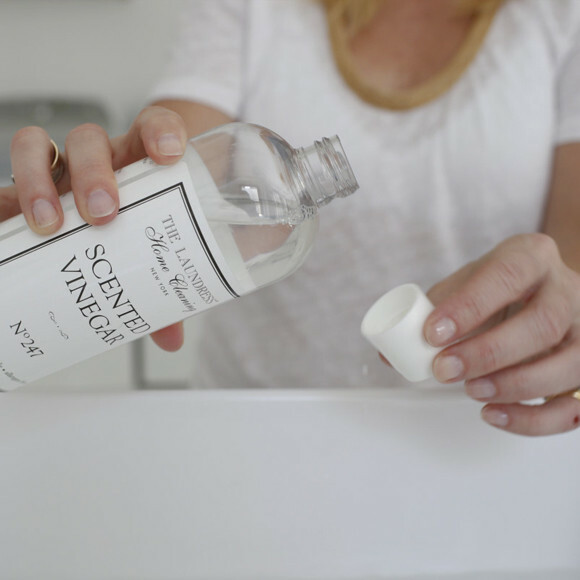 247 scent with natural vinegar, this multipurpose product gets glassware to sparkle, easily removes bathtub film, effectively tackles messes and odors in the kitchen, and more!